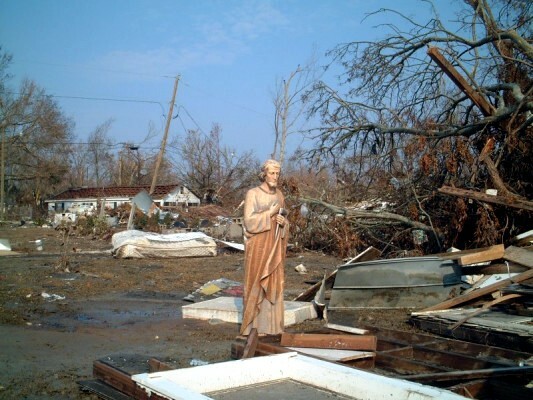 The marble statue, we are told, is from St. Paul Catholic Church. 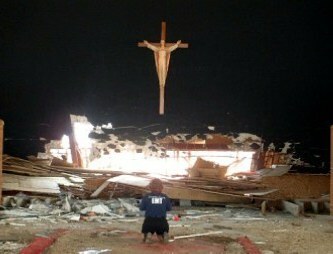 It was standing straight up after the hurricane, just as straight as if someone had leveled the ground and placed him there. I didn't want any footprints around it so that it was obvious that no one stood him there, so I didn't touch him to verify the material. We were the second house behind the Police Dept. I would say he traveled a half mile. Photo by Samie. 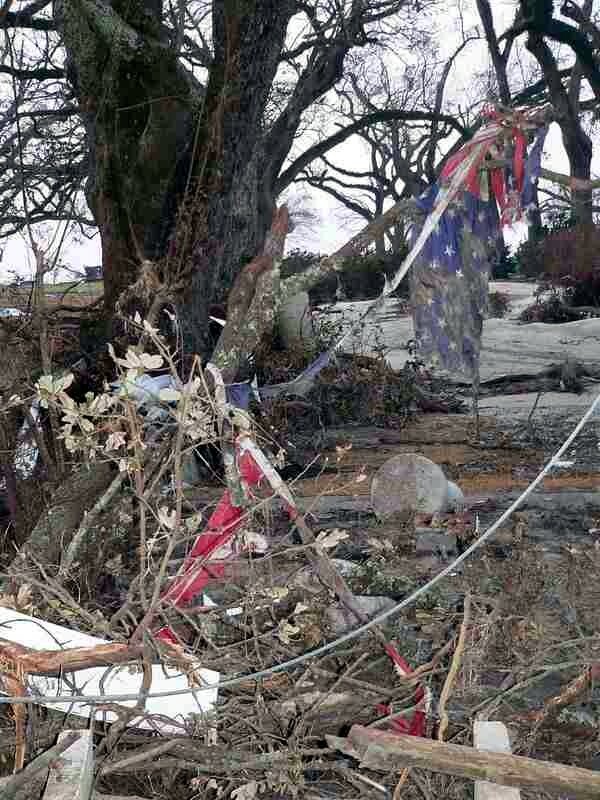 The Flag that flew in front of the Gazebo was caught by the limbs of a Live Oak. 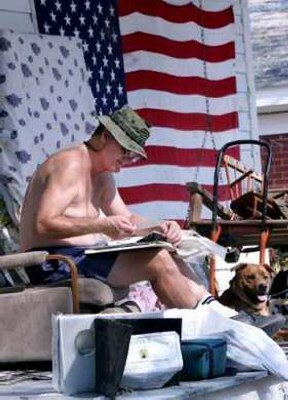 About the Coast are more scenes of valiant volunteers.